On February 21, 2017, the U.S. Court of Appeals for the Federal Circuit issued a precedential decision in Secure Axcess, LLC v. PNC Bank National Association, 2016-1353 regarding what constitutes a covered business method (CBM) patent for the purpose of CBM review by the Patent Trial and Appeal Board (the “Board”). The Federal Circuit panel consisted of Judges Lourie, Plager, and Taranto. Judge Plager delivered the majority opinion, with Judge Lourie dissenting. Procedurally, Secure Axcess challenged a Final Written Decision of the Board. In the Final Written Decision, the Board reaffirmed its determination that the patent at issue, U.S. Patent No. 7,631,191, was a CBM patent under § 18 of the Leahy-Smith America Invents Act (the “AIA”). The Board also held that all the claims of the patent were unpatentable because they were obvious over the cited prior art. On appeal to the Federal Circuit, Secure Axcess challenged the Board’s determination to decide the case as a CBM patent, as well as the Board’s determination of obviousness. 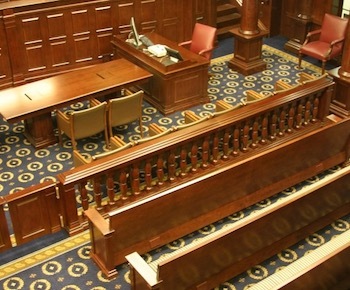 The Federal Circuit ultimately agreed with Secure Axcess that the Board improperly found its patent to be a CBM patent, and thus did not reach the merits of the obviousness issue. an authentication processor configured to insert an authenticity key into formatted data to enable authentication of the authenticity key to verify a source of the formatted data and to retrieve an authenticity stamp from a preferences file. Addressing the CBM issue, the majority opinion initially indicated that while “on occasion, the written description [of Secure Axcess’s patent] contains references that might be considered to concern (at least facially) activities that are financial in nature,” those references were brief and “the last several paragraphs of the written description provide several more detailed and possibly relevant references” such as “the use, sale or distribution of any goods, services or information over any network having similar functionality” and “online commerce transactions”. The majority opinion then stated that it was in reference to things such as these “online commerce transactions” that Secure Axcess’s patent happened to referenced banks. When applying that definition to the present case, the majority opinion rejected as too limiting Secure Axcess’s proposal that CBM review should be limited to “products and services such as credit, loans, real estate transactions, securities and investment products, and similar financial products and services”. However, the Federal Circuit also rejected the Board’s much more expansive approach that CBM review should apply to financial products or services that were merely “used in” and “incidental to” a financial activity. Among other cases, the majority opinion discussed its recent decision in Unwired Planet, LLC v. Google Inc., 841 F.3d 1376 (Fed. Cir. 2016). In Unwired Planet, the Federal Circuit held that the terms “incidental to” a financial activity and “complimentary to” a financial activity were not part of the statutory definition of a CBM patent. Applying that to the Board’s decision that Secure Axcess’s patent was a CBM patent, the majority opinion rejected the Board’s approach in which it stated that the patent “perform[s] operations used in…[and] incidental to a financial activity”. In doing so, the majority opinion explicitly indicated that “incidental to a financial activity” is not part of the statutory definition and concluded that such a definition was beyond the scope of the statutory standard. However, the Federal Circuit further stipulated the following: “To be clear: the phrasing of a qualifying claim does not require particular talismanic words. When properly construed in light of the written description, the claim need only require one of a ‘wide range of finance-related activities,’ examples of which can be found in the cases which we have held to be within the CBM provision.” Those cases include Versata Development Group, Inc. v. SAP America, Inc., 793 F.3d 1306 (Fed. Cir. 2015), Blue Calypso, LLC v. Groupon, Inc., 815 F.3d 1331 (Fed. Cir. 2016), and SightSound Technologies, LLC v. Apple Inc., 809 F.3d 1307 (Fed. Cir. 2015). Lourie is so anti-patent for information processing patents. You should hear the tone of his voice when he talks to counsel. He practically spits at the patent owners of information processing patents.